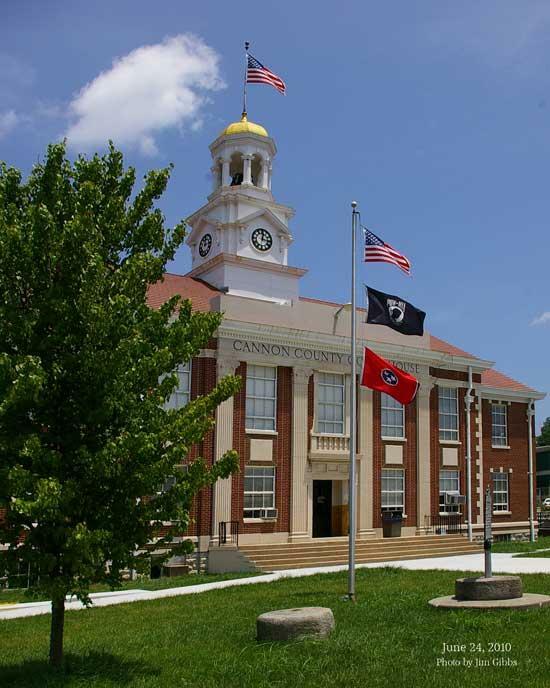 First District Constable Jim Gibbs took this recent photograph of the Cannon County Courthouse, which has been undergoing revitalization work on the exterior for the last half year. On July 24 a "Celebration On The Square" will take place to celebrate the completion of the project. Two great pictures! Great job Jim. I like them both, I especially liked the one at night framed in fireworks. I would buy a print if it was reasonable Jim. Ditto, would buy the night time pic as well. I also think these two pic's would make great post cards for our community!